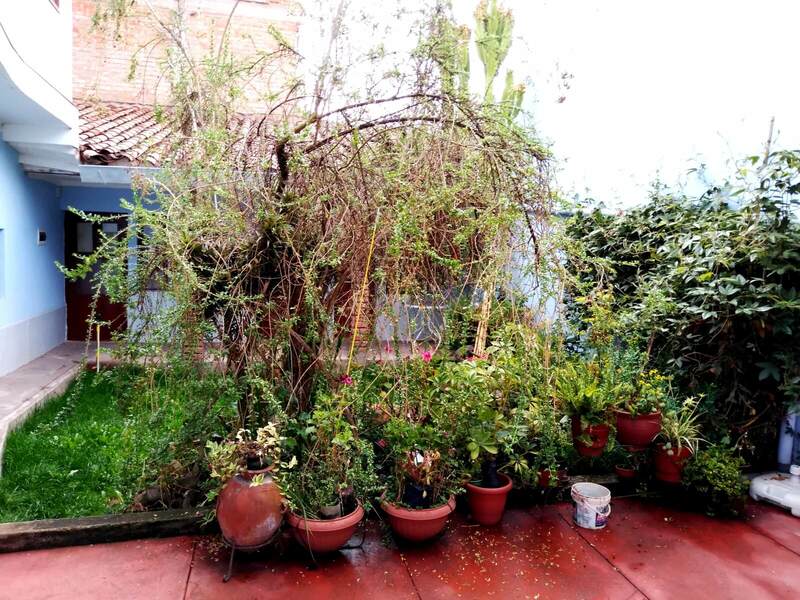 I was never really lucky with my living arrangements in Lima. My last AirBnB turned out to be a complete disaster with non-functioning wi-fi, an extremely dirty kitchen and bathroom and a host who simply didn’t care. 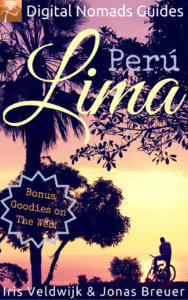 So nothing to recommend for Lima yet, I’m afraid. 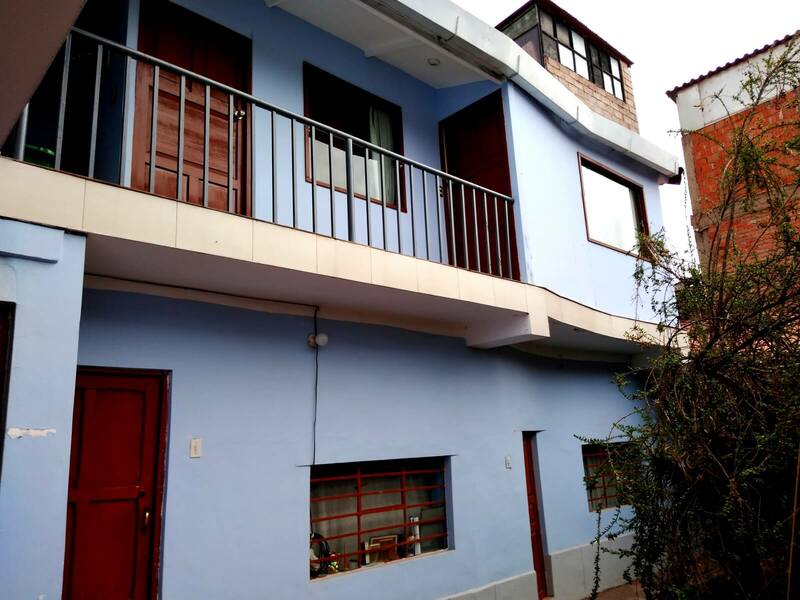 Instead, I’m starting this series about digital nomad-friendly accommodation in Peru with a great place in Cusco. I stayed here for one month and it was simply perfect. 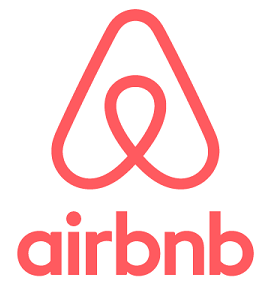 The AirBnB is run by Alfons and Mery, a Dutch-Peruvian couple. I met Mery only briefly because she left for a journey but there’s no doubt that she’s a very nice and kind woman. Her husband Alfons was born in the Netherlands but has already lived in Peru for a very long time and probably knows more about the country, its culture and history than many Peruvians. This makes him a very interesting conversation partner. He speaks fluent English and Spanish, by the way. This is the square which you will see when looking out of the window or stepping out of the house. 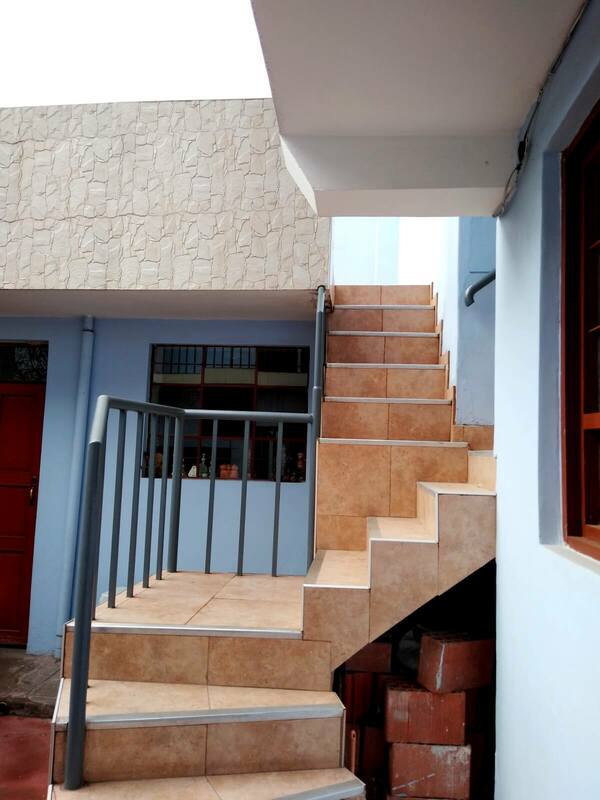 The house is situated in the neighbourhood of Wanchaq, a 30-minutes walk away from the city centre. If you want to go to the centre by bus, you can either take the “La Florida” or the “El Dorado” micro for 0.80 soles or a taxi for 4 – 5 soles. Compared to Lima, taxi drivers in Cusco are much friendlier and in my opinion, it’s really no problem to hail a taxi in the street. Cusco isn’t really big, so you normally shouldn’t pay more than maximum 5 soles for a ride. Just make sure to negotiate the price before you enter the taxi. If the driver demands too much or looks suspicious to you, simply decline politely and wait for the next car. There are plenty of taxis in Cusco. 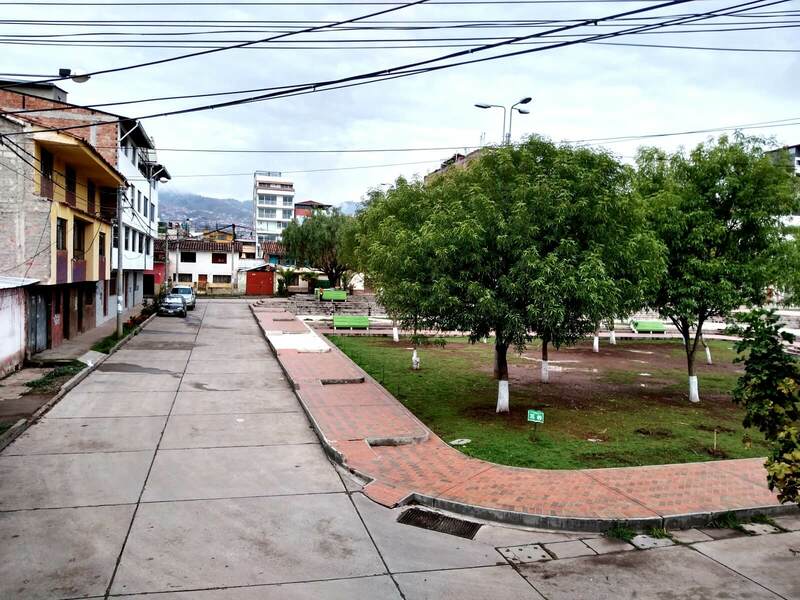 Uber exists in Cusco but there aren’t that many drivers yet, so be prepared to wait a little. Apart from the fact that you don’t have to pay cash, I don’t see any advantages. Well, I’m pre-internet generation and already hailed taxis in South America in the early 1990’s when it was much more of an adventure than nowadays. No matter in which direction you walk from the AirBnB, you will quickly find small shops and affordable restaurants which serve typical food for locals (lots of chicken). Unlike in the city center, nobody will bother you or try to sell you something and when you return to the same shop a couple of times, the owner will recognize you and start a chat. Just don’t expect people to speak much English in this neighbourhood. Your chance to practice Spanish! If you need to go to a really big supermarket, Plaza Vea (at Real Plaza Shopping Mall) is your best option. I didn’t figure out how to get there by bus and didn’t feel like walking as you have to walk up and that can be pretty exhausting because of the altitude. I went there just twice and took a taxi for 4 soles one-way. By the way, don’t be surprised that the neighbourhood doesn’t look really pretty. Once you leave the historical centre of Cusco, most houses aren’t painted, just bricks. There are exceptions, of course (Alfons’ and Mery’s house is blue) but in general, people don’t seem to care much. It cannot be a lack of money, as it’s too widespread that cusqueño houses aren’t painted. Perhaps, it’s simply not important to the people of Cusco what their house looks like from the outside. I’m not the kind of person who walks around in the middle of the night. I just returned home several times around 10 pm and was walking alone from the city centre to the AirBnB. Well, I had no issues, nobody approached me for whatever reason and I never felt unsafe. Compared to Lima, I found the people in Cusco to be much friendlier, more considerate and more helpful. Behind the courtyard, there are the two ground floor rooms. Alfons and Mery rent out 5 rooms and have 2 shared bathrooms. They live there, too which makes communication easy. Guests may ask for breakfast for 7 soles but there’s also a well-equipped kitchen where you can cook as you like. The bathrooms have hot water which is not always the case in Cusco and the Sacred Valley. I loved it because the weather in October was much colder and rainier than I had expected. The AirBnB rooms are on two floors. The common meeting point for guests is the kitchen on the first floor (well second floor if you’re American). I stayed in the room next to kitchen which is really big and comfortable. A good choice if you need to spend a lot of time working. As a downside, you will hear absolutely everything that’s going on in the kitchen. However, I don’t think that this is a huge problem as noisy party backpackers are likely to choose accommodation in the city centre. If you need to do laundry, just tell Alfons or Mery one day before. They charge 10 soles for using the washing machine and if the sun is shining, your clothes will quickly dry on the terrace. If it rains, you’ll have to use a laundry rack inside the house and it will take a bit longer. Once, Alfons was even nice enough to take my clothes inside when it started to rain while I had a Skype call. I should have started with this one as it’s essential for a digital nomad-friendly accommodation, isn’t it? Well, the internet is great even if several people use the wi-fi at the same time. At the end of my stay, we were three digital nomads plus a student who all needed the internet a lot and there were hardly any issues. Sometimes, the router needs a reset. Or if Alfons and Mery are not at home, you can switch off the electricity near the entrance door and afterwards, everything will work perfectly again. The speed varied between 20 and 70Mbps download which is a bit weird but not so uncommon in Peru. Alfons told me that the neighbourhood is connected to an optic fibre cable. I heard people in the city centre and San Blas complain about the quality of the internet, so Wanchaq is obviously a better choice. You can easily book through Alfons’ and Mery’s AirBnB profile. If you’re not sure which room to choose (I had a hard time), contact them before making your reservation and tell them about your needs and planned length of stay and asked them to recommend a room. They respond very quickly and are extremely helpful. If you don’t have an AirBnB account yet, you’re welcome to sign up using this link to get US$ 25 in travel credit. All in all, it was one of my best AirBnB experiences ever (and I’ve stayed in a lot of AirBnB’s during the last 4 years). 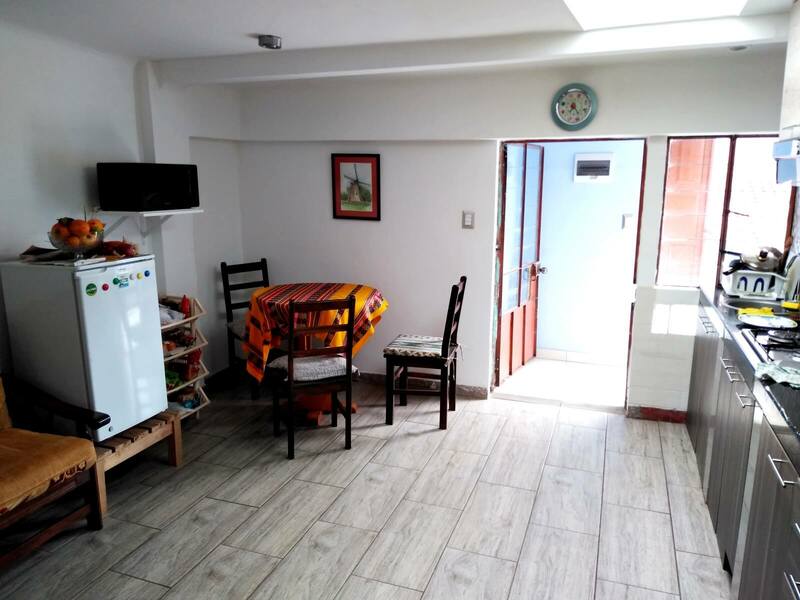 I’ve already recommended this place in the Digital Nomads Peru Facebook group and as a result, two group members made reservations and we did some activities together. Can you recommend any other nomad-friendly accommodation in Cusco? Please don’t hesitate to share in the comments.